Published on August 1, 2010 in Africa, Culture, General T&T, Media and Race and Identity. 3 Comments Tags: Emancipation, Emancipation Day, George Maxwell Richards, President. 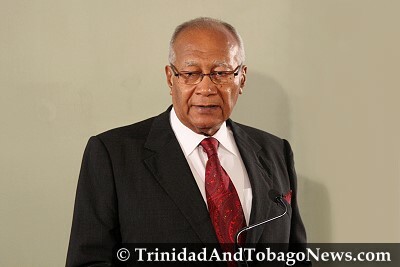 Message from His Excellency Professor George Maxwell Richards TC, CMT, Ph. D, President of the Republic of Trinidad and Tobago on the Occasion of Emancipation Day 2010. On the occasion of Emancipation Day 2010, I send greetings to all citizens of Trinidad and Tobago, as we consider what this day means to us. By Legal Notice 147 of 15th October, 1984 and in accordance with Section 4 of the Public Holidays and Festivals Act, Discovery Day, which was celebrated in Trinidad and Tobago, on 1st August, each year, was changed to Emancipation Day. There was considerable support for the view that, while we acknowledge the history of the European presence in our country, specifically, the arrival of Christopher Columbus here, 1st August should be commemorated, as a most significant date in history, in another way, for it was on that date in 1838, that African slaves finally received their freedom, as the edict of 1834, which declared that freedom, was not fully implemented, until then. Trinidad and Tobago, in declaring Emancipation Day a public holiday, took a lead that some of our neighbours in the region, including Guyana, have followed. The journey from 1838 until now has not been an easy one, as we are well aware, and history records the facts that have contributed to making us the people that we are. We need to remind ourselves or inform ourselves of them, if we are to take the best and most appropriate steps forward, as we grow as an independent nation. Ours has been described as a free, democratic society and, in many ways, it is so. However, the celebration of Emancipation Day is a time to consider to what extent we are indeed free and where we are, as individuals and collectively, in the process of emancipating ourselves, especially in the way we think, for no one can really declare us free. Adlai Stevenson is reported to have said that “A free society is one where it is safe to be unpopular”. Fellow citizens, this is a good time to ask ourselves where we stand on that opinion. Another insight on freedom, as it concerns our state of wellbeing, comes to us from Thucydides the Athenian historian born in the 5th century B.C., who tells us that “The secret of happiness is freedom and the secret of freedom is courage”. From the perspective of one who himself experienced exile, that is a deep saying. Freedom is not licence or disorder, nor is courage bravado, particularly when it signals intimidation, from whatever quarter and in whatever manner. The freedom for which the ancestors fought went beyond an official declaration, made at a time when it was no longer convenient to be a slave owner. We should not take lightly the courage with which they faced the early days of Emancipation and continuing, as they, women side by side with men, laid foundations on which our Independence would eventually be built. Out of respect for what they have done, we have a duty to preserve independence of mind and guard the freedoms which we have gained, over time, pre and post Independence, including those of our institutions. In that vein, I recall the observation attributed to Baron de Montesquieu: “A nation may lose its liberties in a day and not miss them in a century”. Let us, on this Emancipation Day 2010, a celebration for all of us who hold Trinidad and Tobago dear, resolve to consider, more carefully, the freedoms that were bought with a great price and to position ourselves, particularly our youth, to guard them resolutely, in the secure knowledge that each one of us has a contribution to make to our country’s development. Let no one tell us otherwise. The Preesident could quote from white men ranging from ancient Greece, through 19th Century France to 20th Century USA, and do so without quoting not one Black man, for example, Frederick Douglas, WEB DuBois, Patrick Marryshow et al on the issue of Emancipation? I wonder who he would cite on the issue of Indian Arrival. they cry out only for more. Like boats in the breeze, free only in an endless tease. Floating as filaments of fish, cold and unfeeling. Whisper words for the heaving of heavy hearts? Nor drink in the dregs of them drowned. Embarks upon its own art. On board a ship sailing to a foreign land. Fear etch within his young mind. His village is now a distant memory. Alas his tender heart could take it no more. The smell of urine and human waste is too much to bear. He leaps across the bow but lands on his face. Now he is shivering with anger and hate. Soon his journey ends and in the distance– “land ahoy”. He tearfully looks up thinking he is returning home. But as he leaves the ship the land is different. No family members waiting to greet him. All that remains is the memories of yesterday. He is sold to Mr. Johnson. At the estate he is awaken to begin his new life. Toiling in the hot Sun, working with strange tools. Soon his hand is sore and his body aches unbearably. His life is now that of a slave. The years go by and then one day. The sounds of freedom come flowing across the land. He looks up in disbelief but smiles slowly. Emancipation has come, thank God emancipation has come.